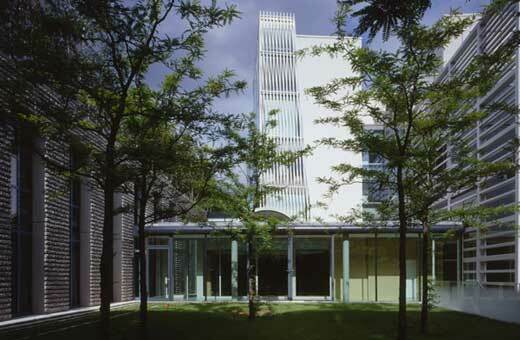 The French Embassy of Germany by Atelier Christian de Portzamparc is a Prizewinning entry of a competition in 1997. Program: This cultural facility accomodates the Ambassador’s residence, the Consolate and Chancellery offices, the cultural department, function halls, a cafeteria, an amphitheatre, housing and multifunctional spaces, all divided into seven buildings. Norwegian architects, Snøhetta has won the competition to design King Abdulaziz Center for Knowledge and Culture in Saudi Arabia. The design concept is “the history of oil in Saudi Arabia”. 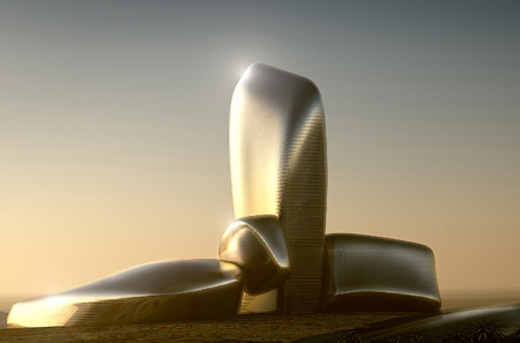 May 20th 2008, King Abdullah bin Abdulaziz set the cornerstone for the cultural centre which will house a museum, library, theatre, cinema and more. The building reflects the history of oil in Saudi Arabia and is different from the country’s architectonic traditions with its abstract and spectacular form. 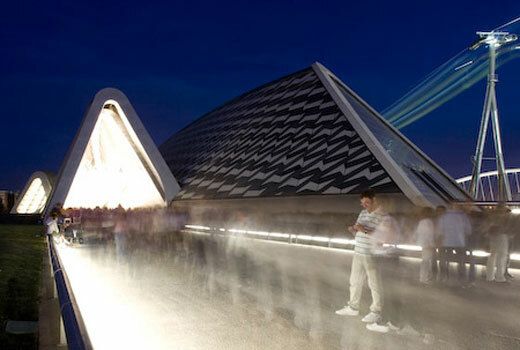 Zaha Hadid designed the Zaragoza Bridge Pavilion for her client, Expoagua Zaragoza 2008. The pavilion is built to hold the Water and Sustainable Development Expo in Zaragoza or known as Zaragoza Expo 2008. It has 3915 m2 of surface and 2500 m2 of Pedestrian Bridge. The Zaragoza Bridge Pavilion is organized around 4 main objects, or “pods” that perform both as structural elements and as spatial enclosures. The Bridge Pavilion design stems from the detailed examination and research into the potential of a diamond shaped section – which offers both structural and programming properties. As in the case of space-frame structures, a diamond section represents a rational way if distributing forces along a surface. 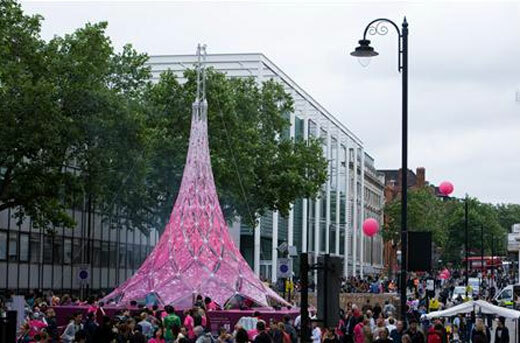 Foster+Partners had an idea to let the audience involving the architecture during the London Festival of Architecture. They built a conical structure, interwoven with fabric panels hand-printed by the public. 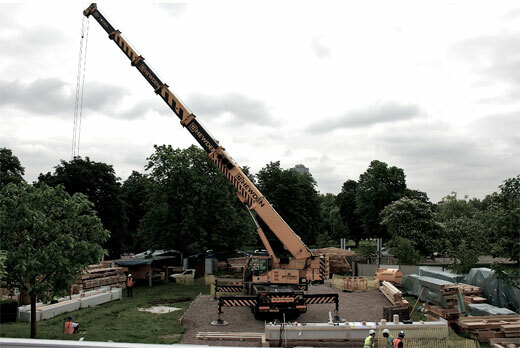 Designed by Frank Gehry, the Serpentine Gallery Pavilion 2008 is under construction. This landmark is mentioned to be the first example of Frank Gehry’s spectacular architecture in London. Have you’ve heard an idiom ‘home sweet home’? I think everybody know about it. And we also know that the most crucial aspect to achieve the mentioned idiom is not the home interior, of course. 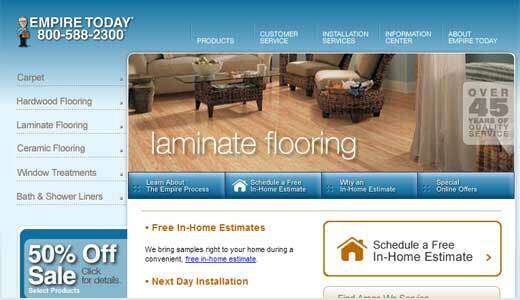 But I think the home interior took the second place to help people feel ‘home sweet home’. 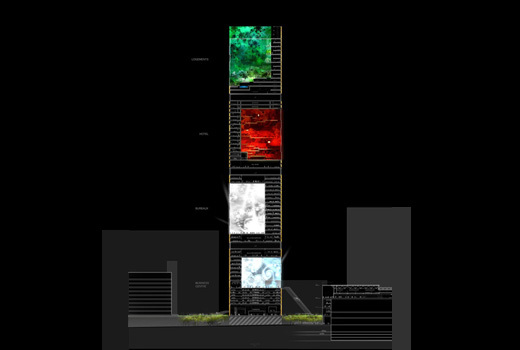 Designed by Jean Nouvel, the Tour Signal comprises 71-storey, consists of five different uses including office (50,000 sqm), hotel 39,000 sqm), residential (33,000 sqm), Public facilities (8,000 sqm) and retail spaces (10,000 sqm). This tower will be located at La Défense, Paris. This project’s ambition is to create a strong hub at the heart of the Greater Paris region, creating a significant draw at the same time as establishing a relationship between the project and its natural and built-up environment, embodying the various temporal considerations which strengthen the links between a project and its environs. 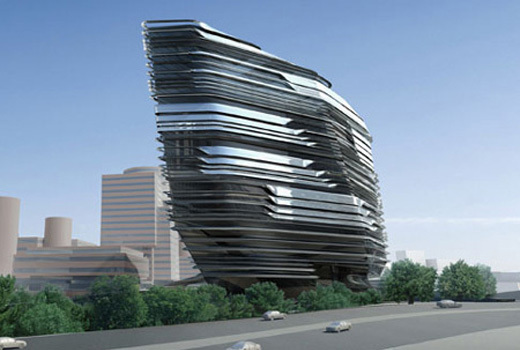 Zaha Hadid proposed an interesting design for the new School of Design tower on the campus of the Hong Kong Polytechnic University. The tower utilizing glass and steel and expected to be completed in 2011. Mainly made up of dark glazing, here and there some floors are picked out by a lighter windows which looks like it was too long for the floor plate size and so has been folded downwards over lower levels creating shading for the interior and adding an irregularity to the appearance of the scheme.